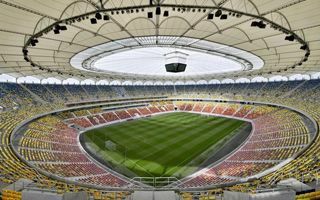 28.02.2014 Russia 2018: Stadium prices to inflate further? The Russian Sports Ministry suggests to cancel all financial audits for 2018 World Cup stadiums. 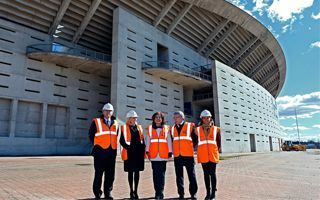 This is expected to increase work pace on delayed stadiums. But this might increase costs further, while they already highly exceed earlier estimations. 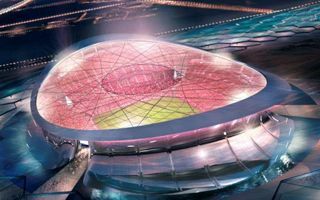 After Al Wakrah entered construction phase and Al Rayyan saw design team appointed, more details on the 2022 World Cup largest stadium are expected now. Report by Construction Week Online. Is this a compromise between appeals to name the stadium after Luis Aragones and naming rights sale? 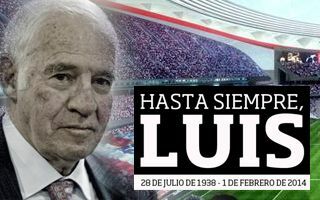 The city announced that the late legend of Atletico is getting his own avenue as a tribute. Now patronage over the stadium seems unlikely. 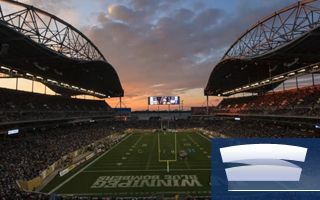 Though nobody used the term ‘naming rights’, both the stadium logo and name have changed. 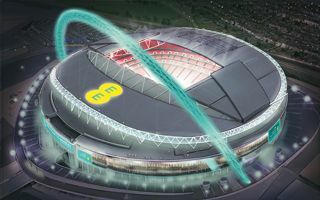 From today England’s largest stadium will be known as ‘Wembley powered by EE’. First such partnership of Wembley was preceded by high scepticism. 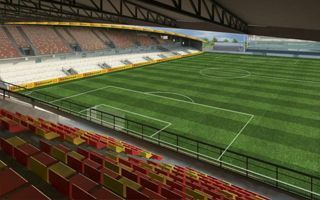 Another Belgian club is close to changing its stadium completely. This time SV Zulte Waregem announced works are to start immediately after the current league season ends. To meet the requirements of 2. 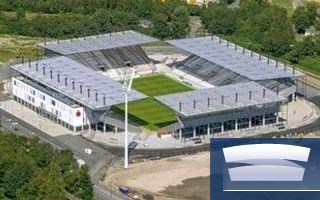 Bundesliga, the stadium in Aalen has to be expanded. 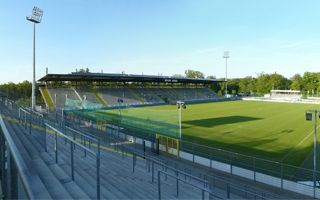 Within 1.5 year two stands will be changed to exceed the minimum of 15,000 capacity, according to SWP.de. 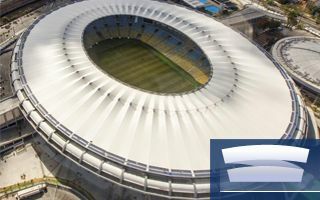 Two weeks of 2014 Winter Olympics have passed and so has the event calendar for the tournament’s main stadium. 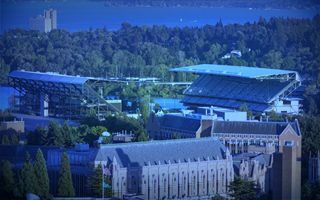 First football games is scheduled for mid-2017, no solid plans for other events are in place. 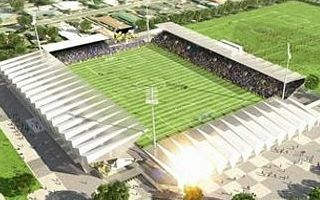 Largest stadium cross Ulster is going to grow further, not without objections. Apart from new commercial potential, community is also expected to benefit, while architects tried to address the fears of local residents. The central multi-use stadium was supposed to go football-only, but plans have changed. 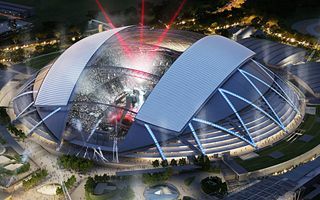 Now it’ll stay athletic, while new football national stadium is going to grow elsewhere. 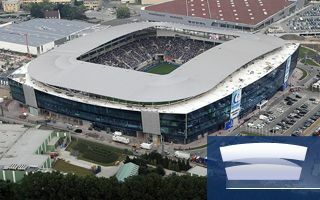 23.02.2014 Stadium of the Year 2013: Ghelamco Arena! 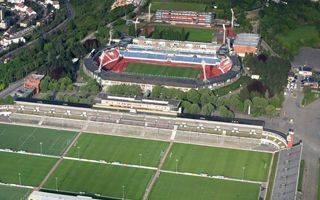 Most frequently selected stadium in the history of our competition and rightly so. 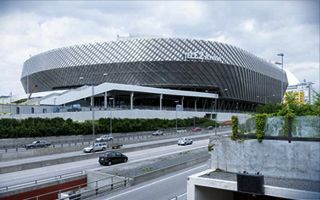 Tele2 Arena combines ultramodern multi-event operation model with traditional football supporter approach in a unique way. 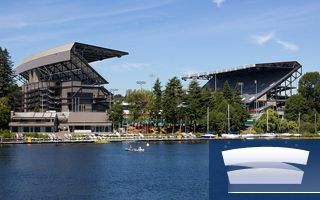 One of the largest nominated stadiums and first nominee in history to represent the National Collegiate Athletic Association of USA. Known for its traditional layout even after complete reconstruction and for the amazing atmosphere. Works were officially launched in December, but real progress may be observed now. 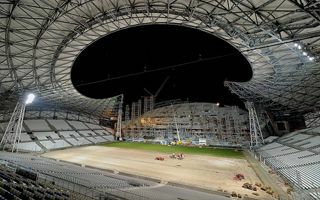 This is why we have first construction photos for you of what may be the world’s most modern rugby stadium. 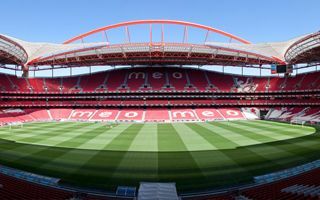 Atletico Madrid is likely to sign their first ever naming rights contract. 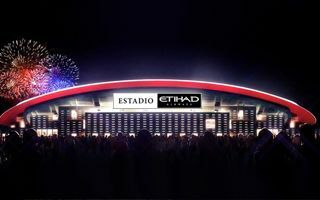 New stadium in eastern Madrid would include Etihad Airways in its name for a decade, according to InsideSpanishFootball.com. 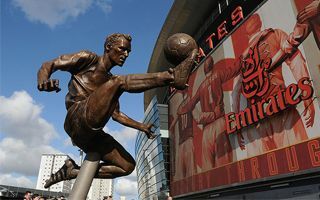 Dennis Bergkamp joins three other Arsenal legends immortalized in bronze monuments outside London’s most modern stadium. His statue was unveiled today, ahead of Arsenal-Sunderland game. 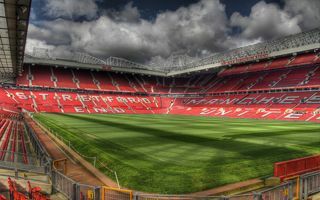 Another Dutch stadium will produce energy from the sun. Every year batteries on the roof will produce enough energy to supply 200 households, according to cobouw.nl. Environment Ministry of Greece yesterday released the regulation concerning Nea Philadelphia redevelopment plans. 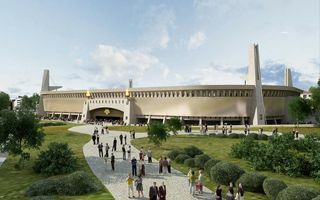 As GreekReporter.com informs, the document will now be subject to public consultation. 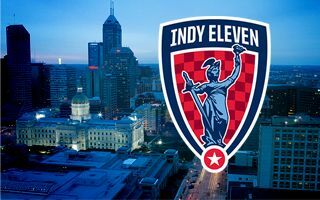 By voting to amend Senate Bill 302 local committee allowed Indy Eleven to capture $2 million of tax revenue to help pay for the proposed 18,500 capacity stadium. IndyStar.com report. 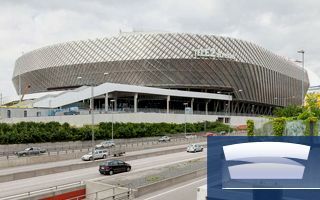 Not without some concerns, the new multi-use stadium in Stockholm received a warm welcome and has been properly tested by supporters from its first weekend in operation. 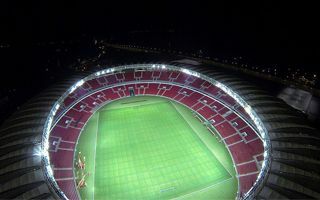 Today it’s already a major event hub both for football and concerts. 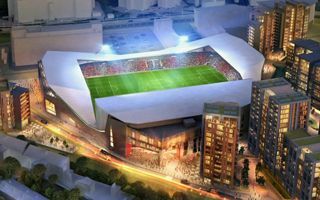 After local council, now also the mayor’s office approved Lionel Road stadium plans. Only the secretary of state could possibly stop the development now, according to London24.com. 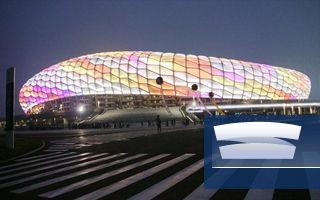 The Belgian club was hoping to receive exemption from the Environmental Impact Assessment. Now that the exemption hasn’t been granted, groundbreaking is sure to be delayed significantly. 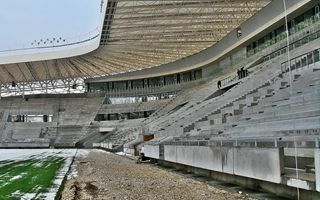 “Paris has one impressive stadium covered with concrete”. 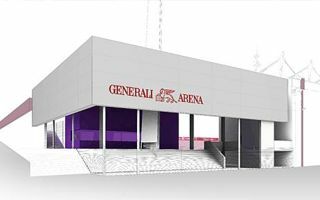 This sentence would have been true, but since 2013 there are two concrete arenas standing just several meters apart. 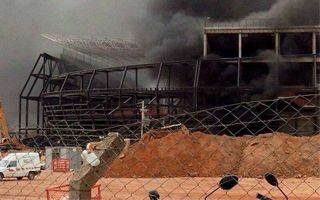 Arena da Baixada is still the most delayed stadium of 2014 World Cup, but will not be dropped from the host list, against suggestions from some FIFA representatives. It’s the story of a New Zealand club playing in Australian league and losing money on home fixtures. That’s why a new, much smaller stadium is necessary to remain home. 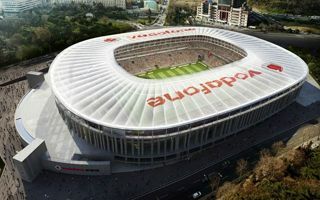 Without a doubt currently best stadium in southern Turkey. No wonder it hosted the 2013 Mediterranean Games. Simple and tailored accurately, this seems to be a model for Turkey’s rapidly improving top two leagues. 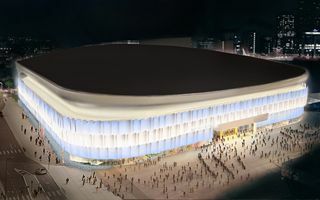 17.02.2014 Iceland: How will the Reykjavik national stadium change? Today it accommodates up to 13,000 people, but that’s not enough for big games. 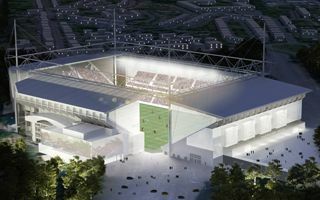 Soon Laugardalsvöllur may be transformed into a football-only stadium, according to IcelandNews.is. The first test game of redeveloped “Gigante” in Porto Alegre went smoothly. 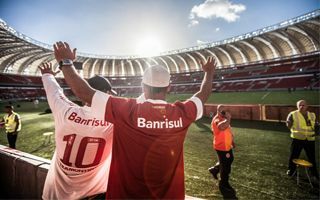 Especially on the pitch, where Internacional dominated Caxias 4:0. Only 10,000 people were allowed in, but more seats should be available soon. First large events already held, more to come. 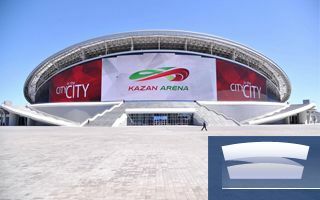 But the new stadium for Rubin Kazan already ironically isn’t ready to host games of Rubin Kazan. Even if temporarily without large events, it’s still a city within the city! It was supposed to resemble a traditional fruit basket of the Amazon. Citizens were expected to verify this symbolism today, but opening plans had to be changed. 15.02.2014 Istanbul: Beşiktaş to join richest clubs with Vodafone Arena? 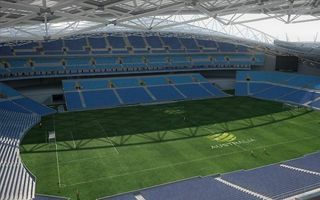 The Istanbul Eagles hope to reach $50-60 million from skybox sales alone. Adding that to new sponsorship deals, Beşiktaş hope to reduce the economic gap very soon, joining the world’s richest clubs. 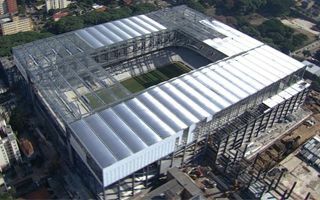 Recife’s most famous stadiums had been located in the centre. 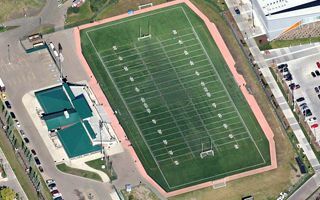 Until mid-2013, when the city’s best stadium opened far in the woods. It’s expected to become a new hub for sports and shopping within the next few years. 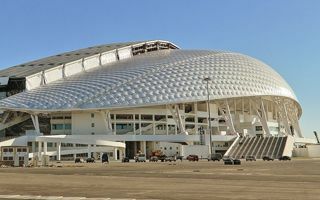 Planned delivery in April this year had to be delayed in order to thoroughly test all systems before the world’s largest dome can open to the public. Report by TODAY. 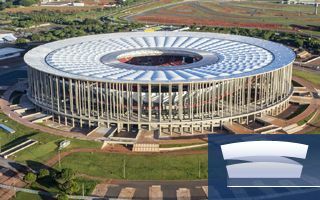 The 2000 Olympics main stadium is hoped to get an impressive retractable roof, moving stands throughout the lower tier and new commercial facilities. Invitation for companies has been issued, according to Sydney Morning Herald. 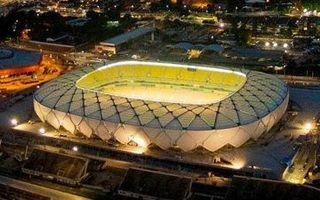 It’s one of the most distinctive stadiums across Latin America. Soon it’s going to look even more impressively, because the capacity will almost double. So what? It’s blueprint will hardly change at the same time! It may be only 30 seats, but they’re all over the news across Europe. After all, how often can you read that “standing sections are back to England”? 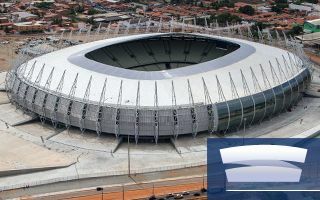 The World Cup host venue in Porto Alegre will see its first test event on Saturday, first time ever with completely covered stands. How does this amazing project look three days before reopening? 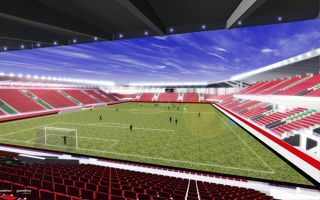 12.02.2014 New design: Stadion Orła Łódź in 2017? 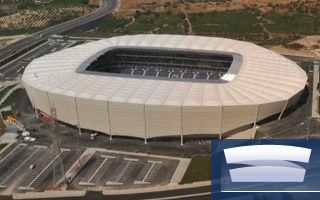 Concrete stands with over 10,000 covered seats – this is the plan outlined by charismatic president of Orzeł Łódź, Witold Skrzydlewski. 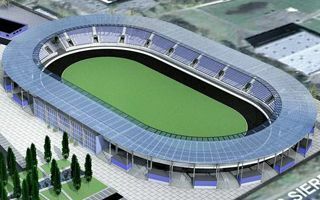 International class speedway stadium should be operational in 2017. 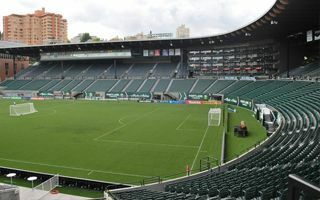 Portland Timbers announced Monday that their stadium will be called Providence Park, as part of a multi-year partnership with not-for-profit health care provider Providence Health & Services. Construction progress currently stands at 85%. 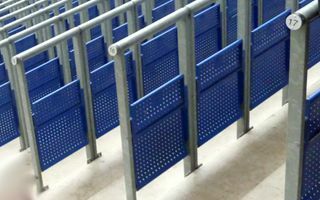 First shipment of seats is expected on February 14, while opening remains planned for May 1. The giant from Seattle was almost completely demolished and then rebuilt within just two years. Except now it’s smaller. And less universal. But still a lot better than the predecessor. 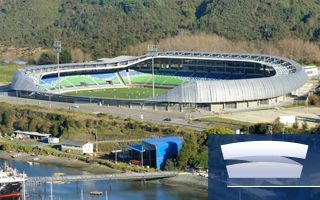 Here’s one of the most unconventional nominees for this year’s Stadium of the Year competition. 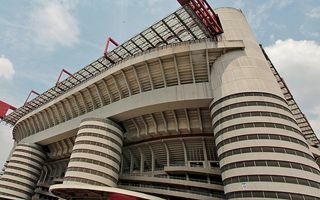 11.02.2014 Italy: AC Milan to move, Inter stay at San Siro? 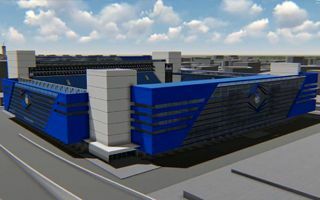 With numerous speculations already dismissed, new scenario is now drawn by Il Giorno and SportMediaset, who suggest Inter might stay at San Siro if AC Milan pursue their new private stadium. 11.02.2014 England: Record away game for Wolverhampton? 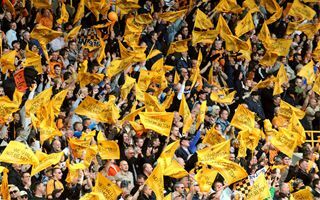 Wolves fans hope to invade Milton Keynes in numbers unseen by locals and extraordinary for the third league they play in. Up to 10,000 people are hoped to attend the league fixture, but host club are reluctant to let it happen. 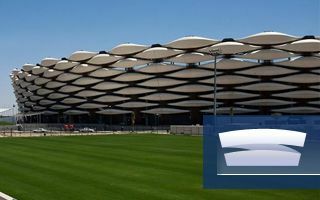 Although the stadium’s architect assures the roof structure wasn’t at risk, pieces of the roof were falling onto the stands on Sunday. Thankfully the public were evacuated before that happened. 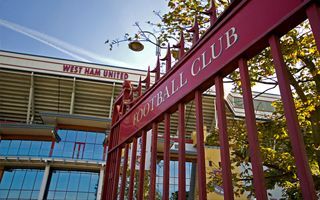 After 110 years of existence the fate of Boleyn Ground is sealed. 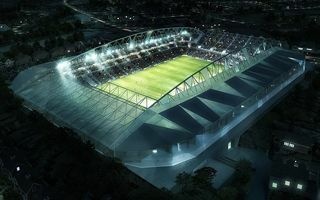 By 2018 the famous stadium will be replaced by 700 new homes as West Ham United relocate to the Olympic Stadium. From the first renderings to the first game it took a long decade. 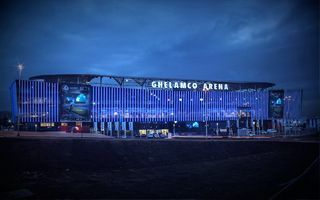 But now that it’s open, Ghelamco Arena seems to compensate the wait. 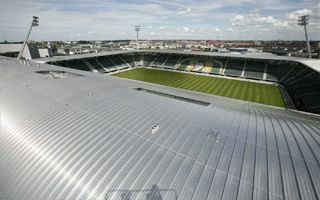 Ghent received a stadium that has no match across Belgium. 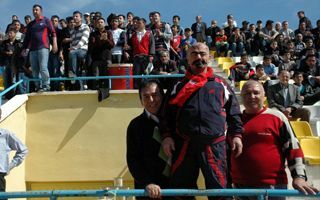 Dramatic financial situation of Kırıkkalespor forced its fans to act. In what is described as last resort, members of Muhafızlar group offer their kidneys on sale, hoping to cover debt and save their club. 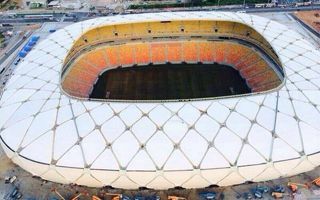 It's by far the smallest and cheapest stadium in this year's Stadium of the Year competition. But is that bad news? Not necessarily, because this Chilean town received a stadium many others may only dream about. 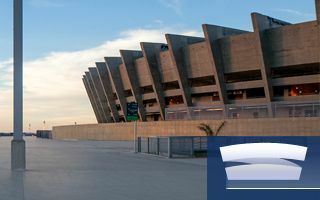 A city as exceptional as Brasilia couldn't have an ordinary stadium. 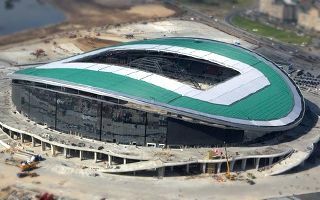 And doesn't, because the one opened in 2013 is one of the most unique structures in the world of sports. 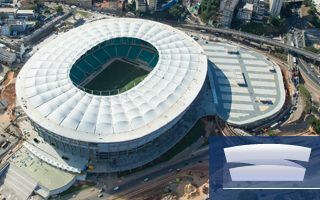 This year the giant for Russia's World Cup will consume $240 million as concrete works are nearing completion and roof installation is set to begin. 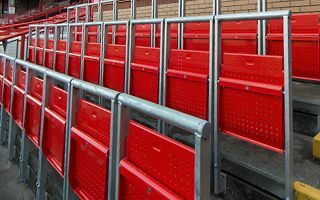 In an unprecedented move 70% of The Football League clubs supported the idea of changing legislation and allowing standing places back to English stadiums. 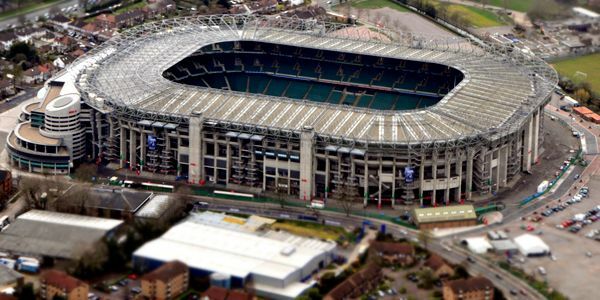 Rugby Football Union commissioned a £75 million development of Twickenham, world's largest rugby-specific stadium. The project is due to finish this year and be the last major change for well over a decade. 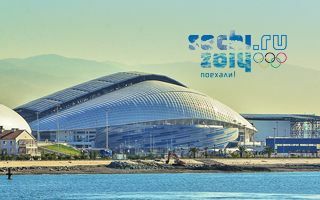 The giant in Sochi officially begins life tonight. 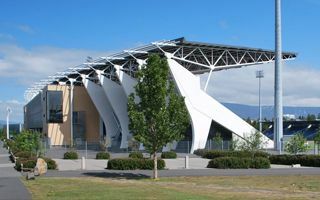 It lost a lot of its aesthetics after temporary structures were added, but is still impressive. And apart from the opening ceremony content only its price remains a secret. 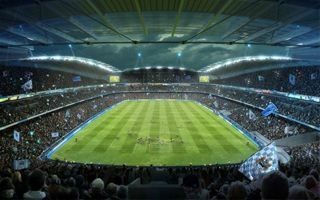 Decision whether to grant permission for Etihad Stadium's expansion is expected on February 13. Yesterday saw a report on the issue released, suggesting to approve the notion with no serious objections. 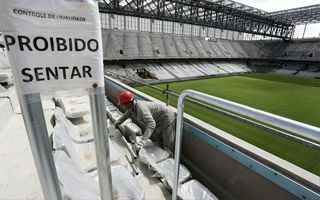 This week saw two major visits of officials from the government and FIFA to evaluate work progress at Arena da Baixada. 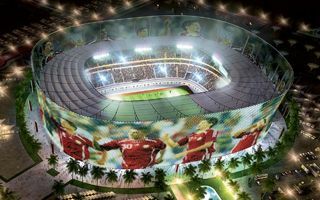 The only stadium threatened with losing its spot in the 2014 World Cup needs more funds to increase the pace. These two are both visions by Pierre Ferret's architecture practise. 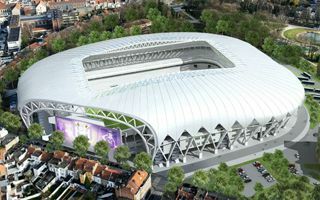 One of them will end up with Lens stadium's facelifted for Euro 2016, while the other... won't. In fact, the other isn't certain to be finished at all. This year's attendance for domestic cup games is almost twice lower than last season's. 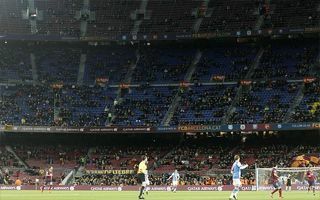 Yesterday only 38,505 people watched Barcelona bear Real Sociedad in the semi-final of Copa del Rey. 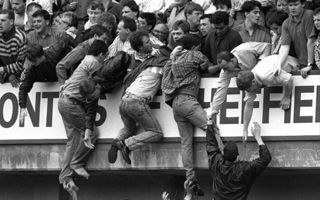 Latest inquest to English football's most horrific tragedy will see 3D model of the stadium used, while jurors will be taken to Hillsborough stadium and view the site first hand. Yorkshire Post report. 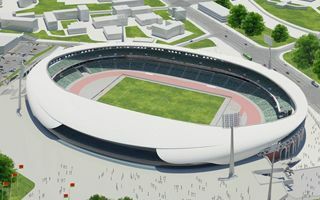 First large events are already behind it, but only now the stadium will get proper use. 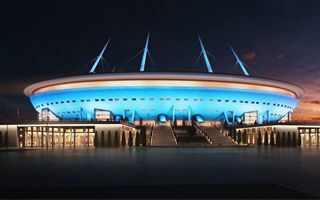 Last week Dalian Aerbin FC signed tenancy deal and will soon bring Chinese Super League to China's newest grand stadium. 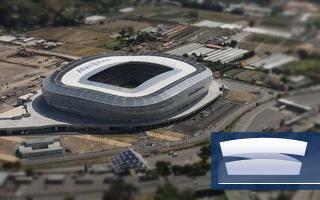 05.02.2014 Czech Republic: New national stadium a realistic option? 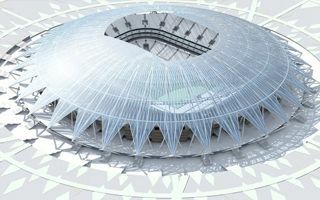 On one hand this stadium's scale and standard amaze, sending a strong signal that Iraq is reappearing on global sports map right now. But on the other hand some questions still need to be answered regarding its future. 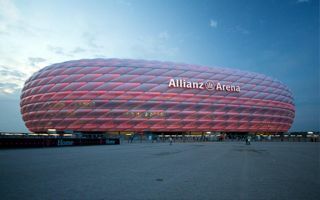 Bayern informed its season-ticket holders that they either attend most games or lose their right to visit Allianz Arena at all. The club has a long waiting list for tickets, while many people don't use their season allocations too often. 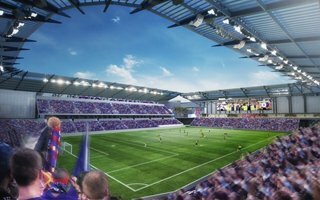 Design phase may still be at an early stage, but Orlando City are confident of breaking ground on their new 20,000-capacity stadium before summer. The venue is to be ready 15 months later. 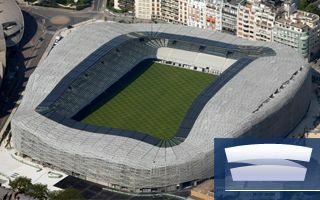 France's latest, most ecological and largest throughout Cote d'Azur, future venue of Euro 2016 – there are many ways to present it. 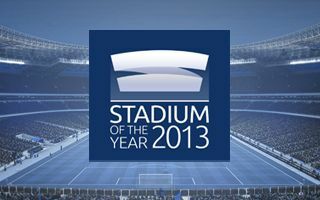 Here's the first nomination for Stadium of the Year 2013. 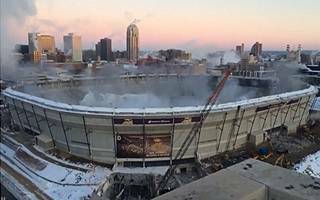 After long preparations it took only a few seconds to drop down the entire cable roof of Hubert H. Humphrey Metrodome. This marks the end of old stadium's cover and another phase of its demolition. 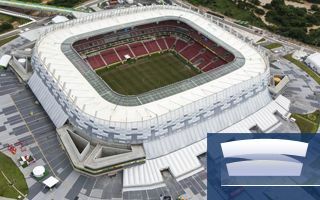 The last stadium we lacked in our database ahead of Stadium of the Year selection has finally landed! It may be much, much, much more expensive than initially planned, but it's still quite impressive!